Calculate these metrics and more with HubSpot's Customer Service Metrics Calculator. You may think that you have the best call center in the world, but can you prove it? Call centers are an essential component of customer service teams that are routinely measured and evaluated. 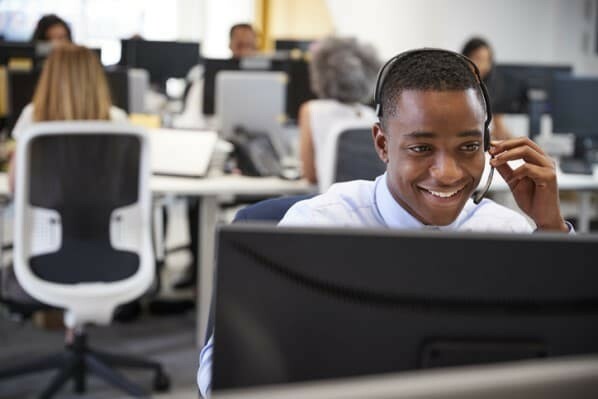 Customer service managers who oversee the call centers closely monitor different trends and patterns and look for information that can be used to improve customer experience. To do this, they use a range of key performance indicators (KPIs) that measure different aspects of the call center. 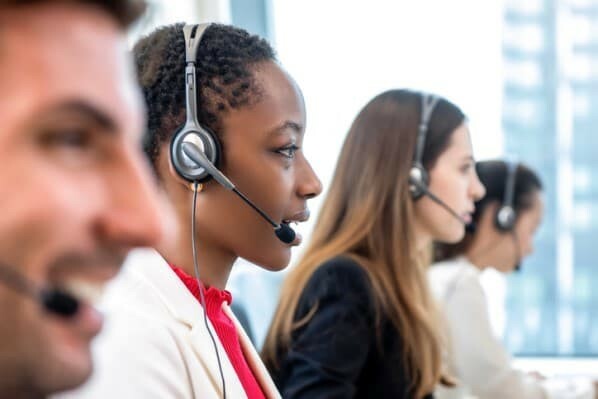 When viewed together, the call center metrics like the ones listed below help businesses determine the effectiveness of their customer service. 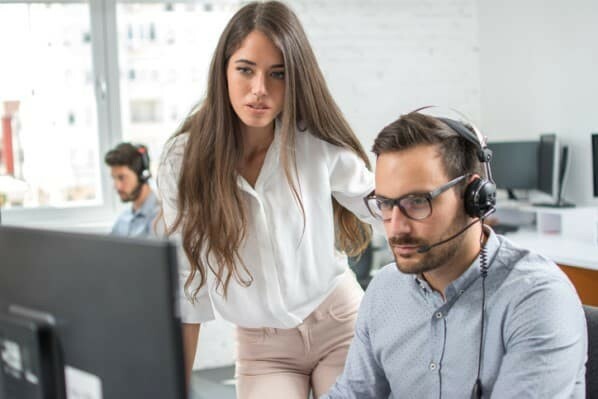 While there are a variety of useful call center metrics to choose from, we narrowed down the top seven that you should consider when analyzing your call center. Customer satisfaction measures how your customers feel about their experience with your company. Call centers use surveying tools like Net Promoter Score (NPS®) to help them quantify customer satisfaction and obtain customer feedback. This metric provides businesses with a strong indication of whether their customer service offers are effective or not. First-call resolution refers to the percentage of cases that are resolved during the first call between the customer and the call center. This metric is extremely important because it plays a major role in reducing customer churn rate. According to SQM Group, only 3% of customers who have a problem solved during the first service interaction are likely to churn. Compare that to the 38% of customers who are likely to churn if the issue isn't resolved after the first call. The most effective means of customer service is solving a problem quickly, and first-call resolution rate can tell you exactly how well you are able to do so. Service level is the percentage of calls that are answered within a given time period. For example, customer service managers will often say they aim to answer 80% of calls within 20 seconds. This would be their service level goal for the call center. Service level shows you whether your business has enough resources to fulfill customer needs. It indicates if customers are being quickly connected to team members and getting their problems resolved in a timely manner. If your service level is lacking, then it may be time to adopt new customer service tools or hire more employees. Call availability defines how often your reps are available to take calls and how long they take to resolve them. This metric provides management with a good indication of whether reps are adhering to their schedule or not. If call availability is low for a rep, then managers can investigate their call records and see if it was a busy day or if the rep was absent. Call availability also helps teams identify the call center’s peak hours of operation. Managers can see which times that reps have low availability and adjust staffing and scheduling to fit the increased demand. Contact quality is a very common call center metric that’s used in almost every industry. This metric is recorded by quality control specialists who analyze random call recordings. These specialists evaluate the call center’s rep on things like courtesy and professionalism, how accurate their information is, and how effective they are at capturing customer data. This qualitative review helps call centers to develop a consistent tone and message that reps use on every phone call. Abandon rate is the percentage of calls that are dropped or terminated by the customer. This percentage tells customer service teams how satisfied their customers are with wait times and call experiences. It can also help call centers determine if their calling systems are out of date. If customer satisfaction is high, but so is abandon rate, that may indicate that your call system may be inadvertently dropping calls. It’s important to resolve these types of issues quickly as dropped calls can negatively influence the customer experience. Average Handling Rate (AHR) describes the amount of time that customers spend on each phone call with your team. While the standard for this metric often varies by industry, most call centers will aim to reduce average handling rates as much as they can. Low AHR means that reps are more efficient and that you need fewer employees to staff your phones. It’s important to be familiar with these metrics and monitor them on a daily basis. Misusing or underestimating this data can prevent your call center from growing and achieving its goals. Understanding the best practices for call center metrics will help your team derive effective takeaways when analyzing your first-party data. Call center metrics help customer service teams optimize their call center’s performance. However, this requires businesses to have a thorough understanding of the information they’re interpreting. When analyzing your call center metrics, it's important to consider the data both collectively and individually. As we mentioned earlier, each individual metric can indicate a pattern or trend occurring with a specific aspect of the call center. But, if we compare the metrics against each other we can paint a more detailed picture of the customer experience. For example, we can compare the average handling rate with the abandon rate to see how happy customers are with call lengths. If the AHR is high and so is the abandon rate, then it’s likely that customers are not happy with the amount of time they’re spending on your phones. Quality specialists can then measure contact quality for this specific behavior and see if there’s a reason why call lengths are so long. By combining the data together into one lens it becomes easier for companies to identify new opportunities for improving call center performance. Now that you know what these metrics are and how to measure them, how will you know if your data is any good? What is the ideal service level rate? How often should you conduct contact quality evaluations? While these standards often vary by industry, there are some global baselines we can use to compare data against. Call Center metrics vary in standards and importance depending on the industry that the call center belongs to. For example, a HubSpot support rep takes significantly fewer calls than an EZ Cater service specialist. 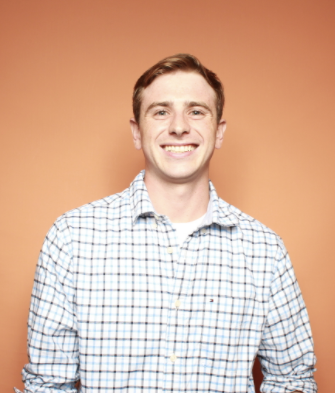 This is because HubSpot’s support rep is working on technical issues that can often take a few minutes to troubleshoot, while the EZ Cater rep is providing updates on deliveries which only take a minute or two. Since these two positions have different customer needs, their call center standards are likely to be quite different. The HS Support rep would be more focused on first-call resolution rates than they would be on call volume. On the opposite end, the EZ Cater rep would be more interested in call volume and average handling rate since they need to update every customer before their order arrives. While these standards are often different depending on the industry, global standards do exist for some of these metrics. Below are some global standards for call center metrics that have been set by Call Centre Helper and the International Finance Commission. Customer Satisfaction: 90% of calls should result in a happy or satisfied customer. NPS can often use different score ranges depending on the industry, so transferring these scores into a percentage is how we can standardize the measurement of customer satisfaction. First-Call Resolution: 70-75% of issues should be resolved during the first call. It’s important to note that a “resolution” is defined by the customer service team. It can be easily influenced by any changes made to the company, the product, or the call center. Service Level: Call centers should have 80% of calls answered within 20 seconds. Abandon Rate: Only 5-8% of calls should be dropped or terminated before resolution. 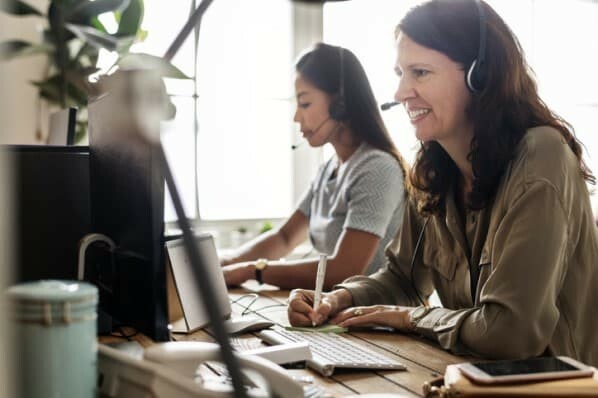 While the metrics above give us strong insight into a call center’s overall performance, there are also individual metrics that are used to measure a single agent’s contribution. These metrics are significantly useful for helping employees set long-term goals as well as promoting career growth. Individual agent metrics help call center management review the performance of specific team members. They can use this data to identify areas of weakness in the rep’s workflow and come up with new ways to improve soft skills and abilities. While these metrics may vary depending on the business, here are three common ones that are used in most call centers. Adherence to schedule measures the percentage of time that employees are clocked in compared to their scheduled hours. This is particularly important for smaller call centers where there’s less room for error if someone is missing. For example, if the team consists of only 10 reps and 2 people come in late, that’s 20% of the team that’s offline. That could play a major role in whether a frustrated customer churns or not. If the customer feels that you can’t solve their problems in a timely manner, they’ll quickly take their business elsewhere. Case volume is the number of calls or cases that are taken by a rep during their shift. Most call centers will set a case quota that reps will have to reach on a daily basis. This ensures that reps are motivated to take more calls in a day and aren’t spending too much time on one individual call. Long phone calls are costly to businesses because the rep misses opportunities to help multiple customers instead of just one. Customer satisfaction is measured on the individual level by obtaining customer feedback and recording NPS. When low scores are recorded, customer service managers will often review these cases with reps to discuss the factors that led to the negative outcome. By looking at these cases individually, customer service agents can identify patterns in their approach that result in unhappy or happy customers. Utilizing both individual and overall call center metrics will help your customer service team deliver an effective phone response. For more information about call center operations, read about what it’s like to work in a call center.